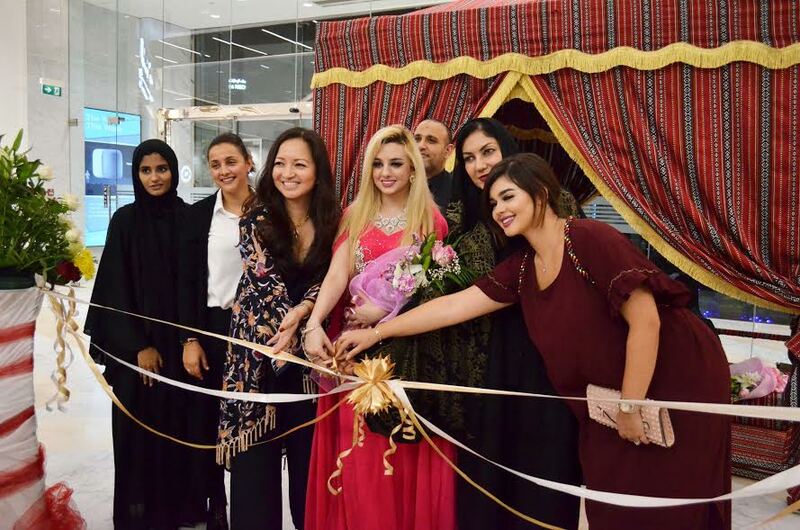 Dubai, United Arab Emirates: The first edition of the Ramadan Fashion Pop-Up Fair 2017 that kicked off in Dubai on 7 June, was the ultimate haven for shoppers who found the best of Arabian fashion and beauty. The most luxurious and exclusive collections from the hottest designers of the region, made its debut at the one-stop shopping destination of the city. The local fashion trade fair is featuring classic and contemporary styles that includes abayas, jalabeyas, caftans, and dresses. Brimming with the most sought-after couturiers, ladies can sift through vast collections of traditional bridal wear, jewelries, perfumes and more. Feast your eyes with the latest lines from celebrated brands such as, Bella Donna, MH Bottega, Vaniday, Natus marrakech, Laksh, House of Meena, Glamazle, Dori, Yataghan Jewelry, Valley Dez, Elamiri Caftan, Melati Couture and Todays Best Fashion. Global skin expert Kaya Skin Clinic will also be on site providing consultations and offering information on the latest technologies and beauty treatments. Khadi Natural, Amash Trends, Diamond Glow Fashion, Al Ghanadeer Fashion, Outlet Brand Trading, Boost Global LLC, I-Clip KSA, Merhis Perfume, Love Grace Collections, and Nazih Group are a few other highlights of the exhibition. “Events Plus’ Ramadan Fashion Pop Up Event is an extraordinary pop up fair that is visible and accessible from anywhere. We have an amazing lineup of the most unique and trendy brands that has been carefully hand-picked and qualified so that guests are privy to an extravagant shopping experience turning it to a rewarding and fruitful investment for the exhibitors as well,” concluded Ebrada. Indulge in a new era of shopping, only at the Ramadan Fashion Pop Up Fair 2017. Ramadan Fashion Pop Up Fair 2017 is open till10 June, in The Mall located on the Jumeirah Road just opposite Jumeirah Beach Hotel. General Admission will be free. Events Plus Dubai is a full service Destination Management Company (DMC) and Event Management Company with over 25 years market experience specializing in Groups and Events program and bespoke Event Management facilitation. Some of their expertise and services includes Inbound Incentives, Corporate Events, Fashion Exhibition, Destination Wedding, Outbound Travel & PR Representation. With the company’s imagination & creativity, combined with comprehensive destination knowledge, unrivalled operational experience and attention to detail, it has led many of the world’s leading incentive houses, private entities and corporate accounts to entrust their events to Events Plus. Events Plus provides breathtaking events tailored to each client’s individual requirements, creating a fun, unique and rewarding experience which is sure to create unforgettable results.